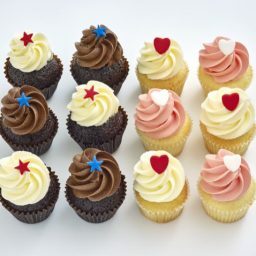 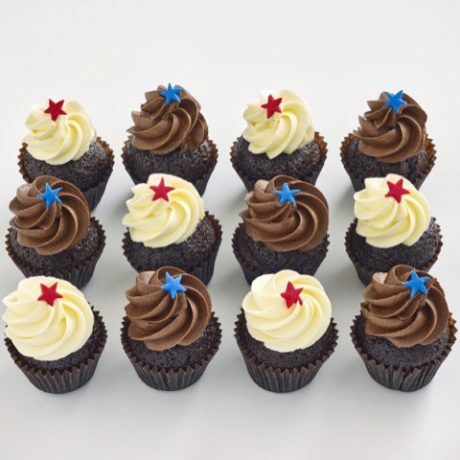 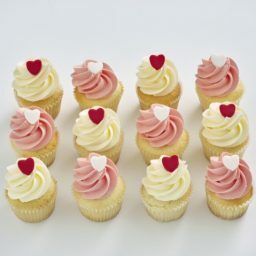 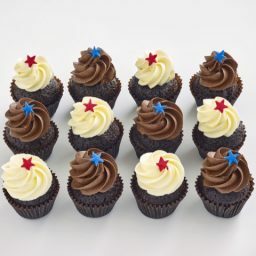 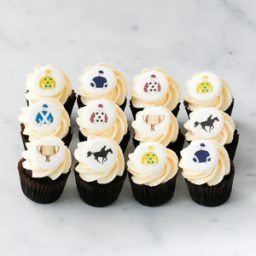 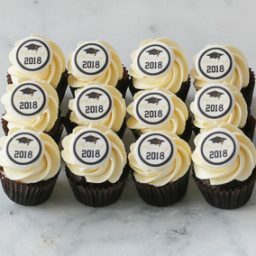 This popular Petite pack contains 6 x Chocolate Cupcakes topped with Vanilla Buttercream and 6 x Chocolate Cupcakes topped with Chocolate Buttercream. All are finished with our handmade fondant stars. 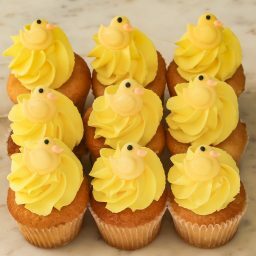 Perfect for children’s parties.